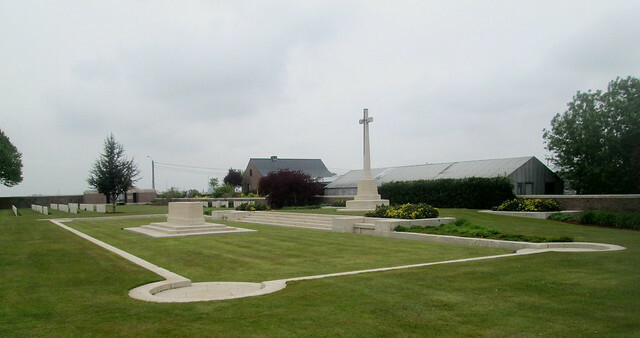 Leslie is a small town not far from where I now live. 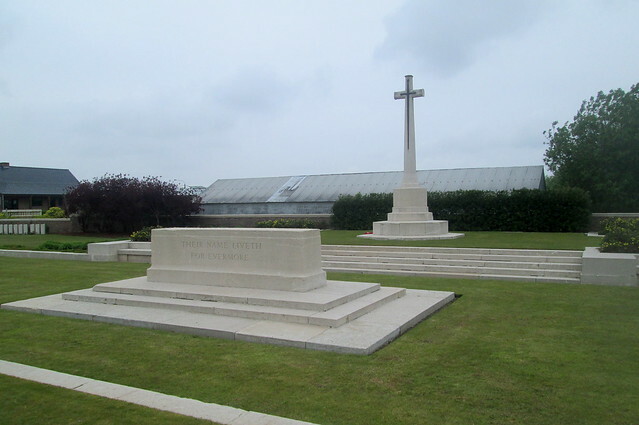 My photographs of its War Memorial are here and of its remaining Art Deco buildings here. 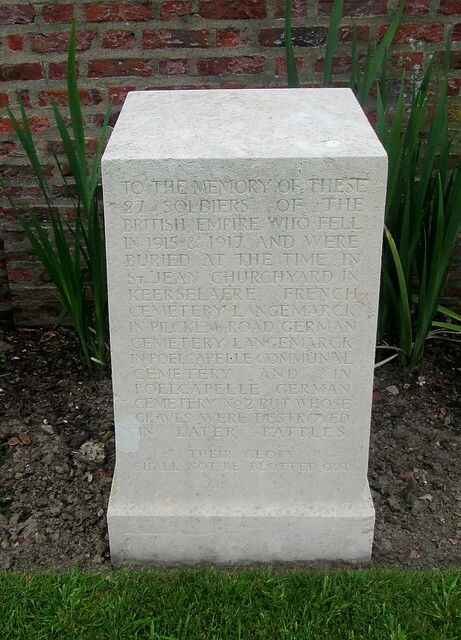 My post on the lost Regal Cinema is here. 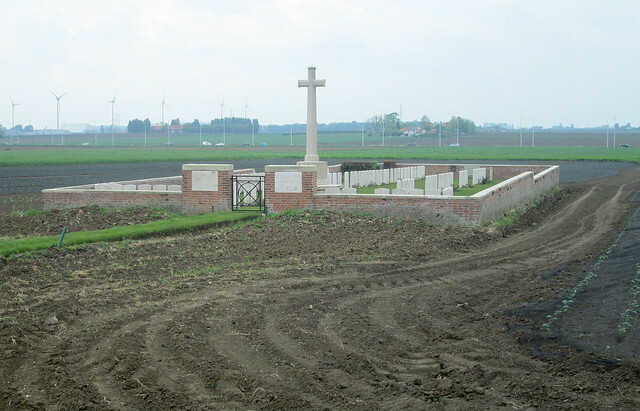 As is common its cemetery gates carry the “Commonwealth War Graves here” sign. 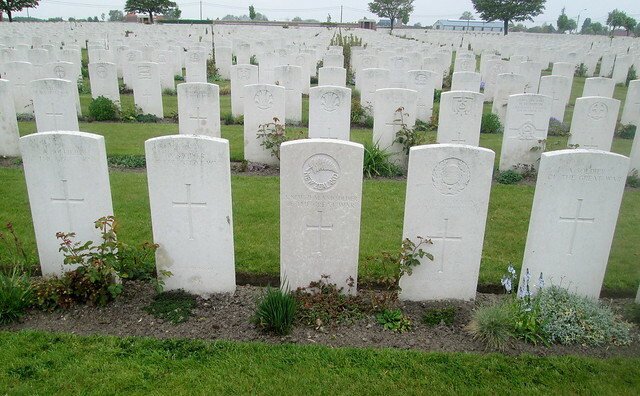 I found four, three fromn the Great War, one from the Second World War. 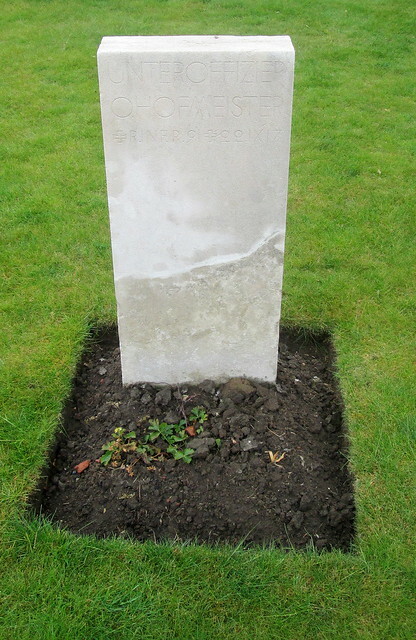 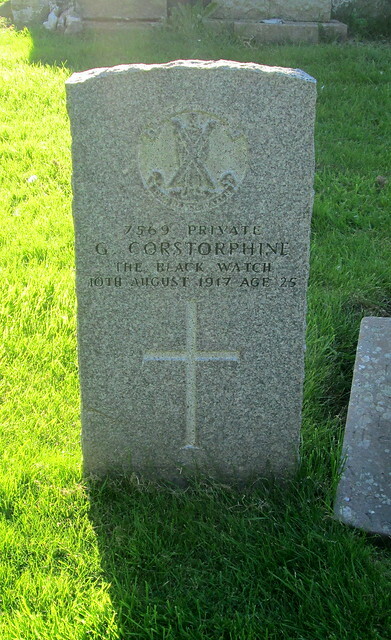 Lance Corporal J F Johnstone, Royal Engineers, 21/2/1941, aged 23. 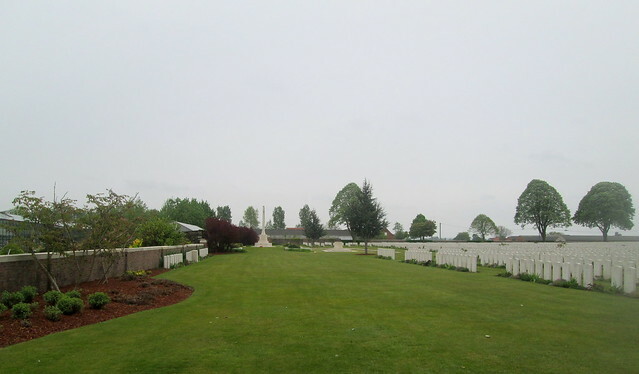 In common with many municipal cemeteries around the country Lockerbie‘s has a “Commonwealth War Graves here” sign on its gates. 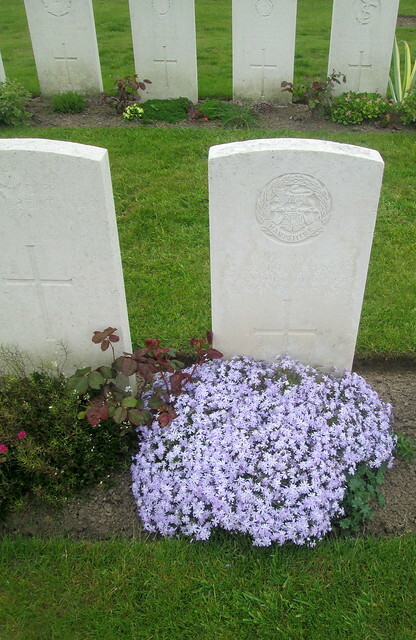 I found three; two for the Great War, one for World War 2. 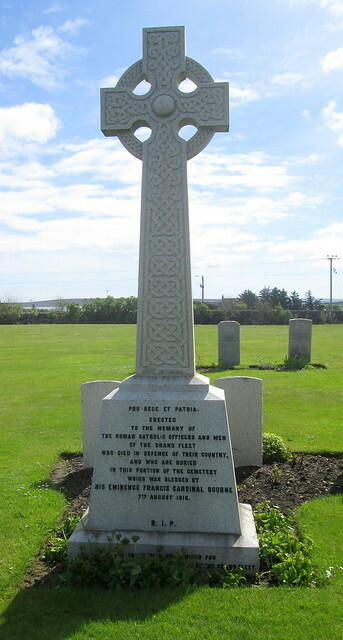 Kilrenny is a village in Fife, as near to Anstruther – and Cellardyke – as almost makes no difference, separated only by a (short stretch of) road. 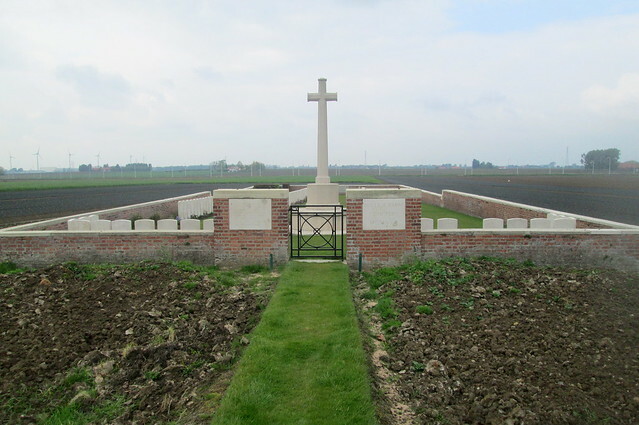 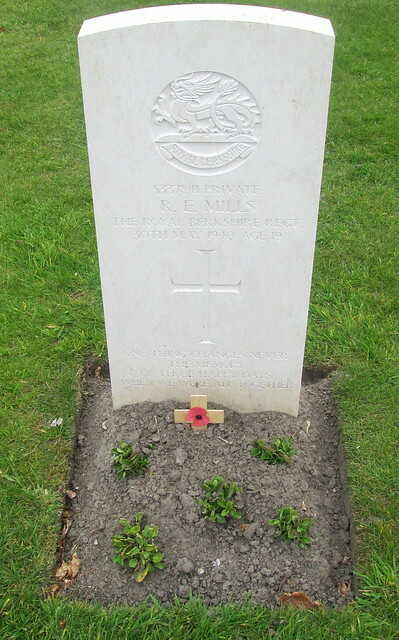 I spotted a Commonwealth War Graves sign on its graveyard’s entrance and went to investigate. 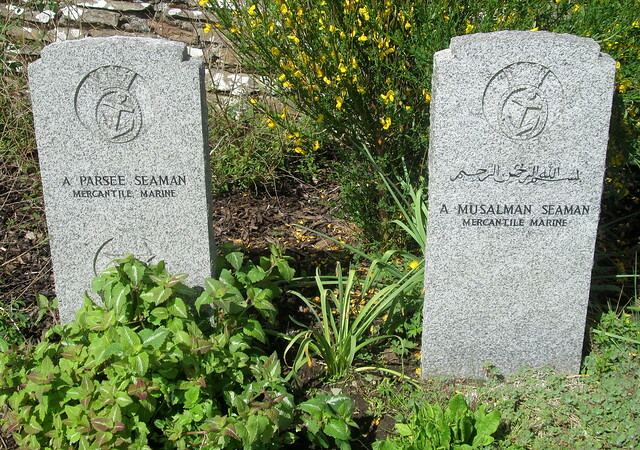 There were two graves. 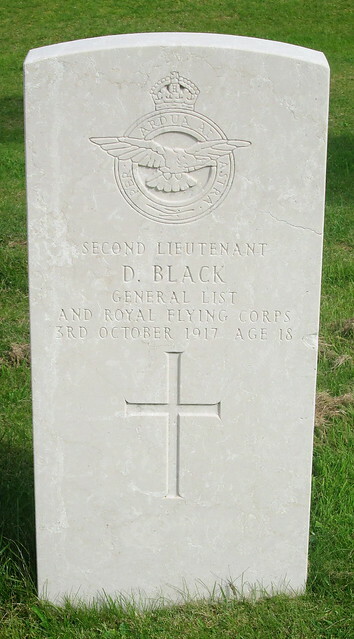 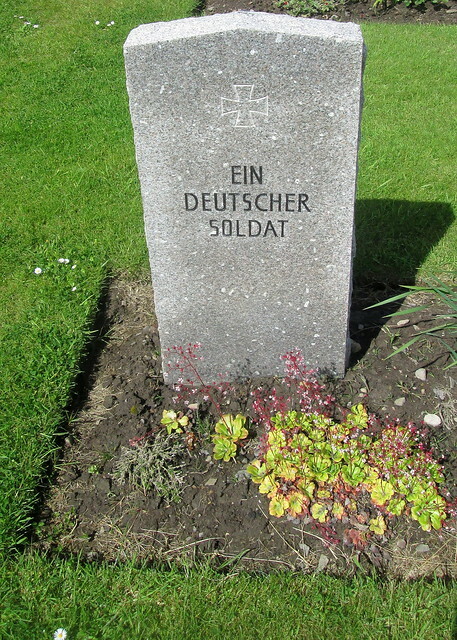 In addition three private gravestones mentioned war dead. 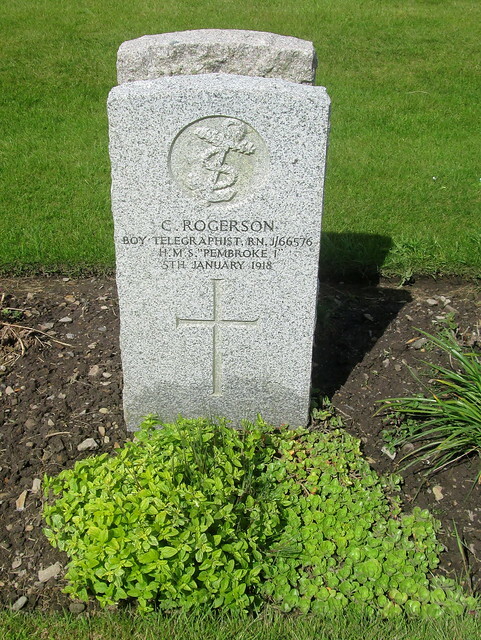 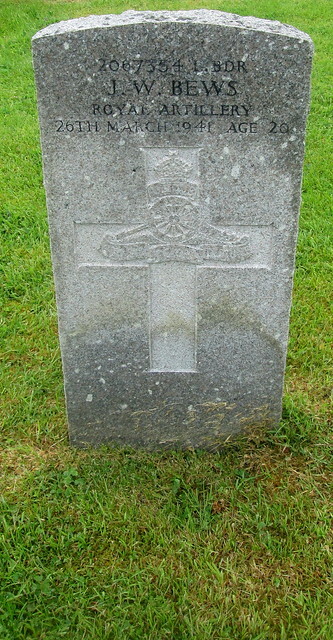 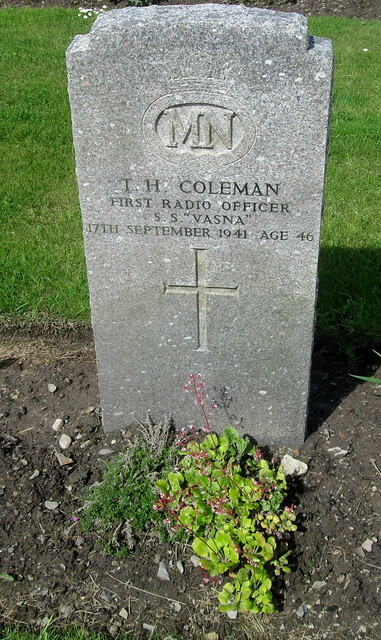 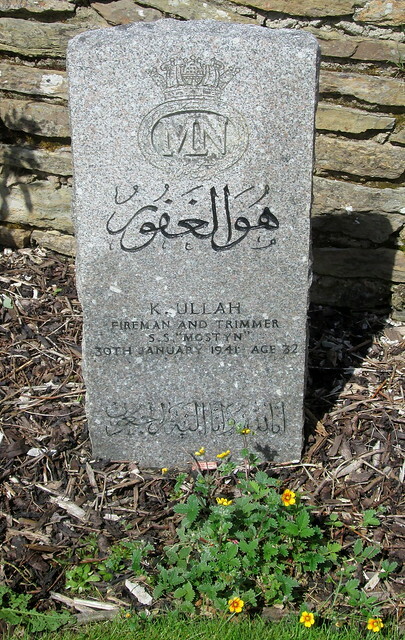 The churchyard cemetery at St Magnus Cathedral, Kirkwall, had a Commonwealth War Graves sign on it. 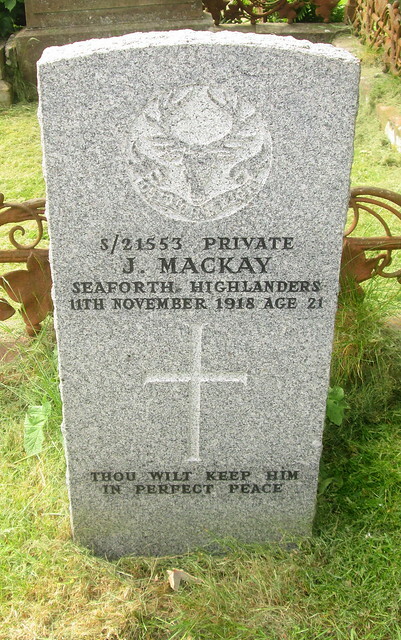 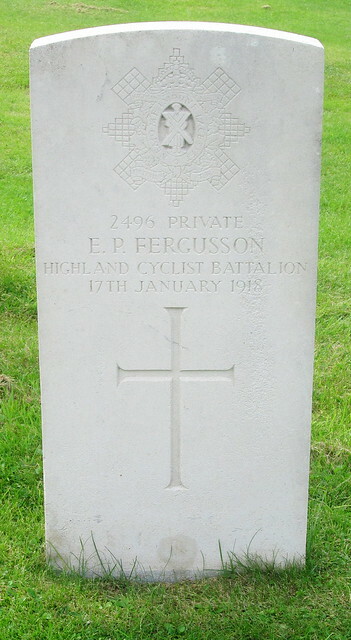 There were two, both Seaforth Highlanders from the Great War. 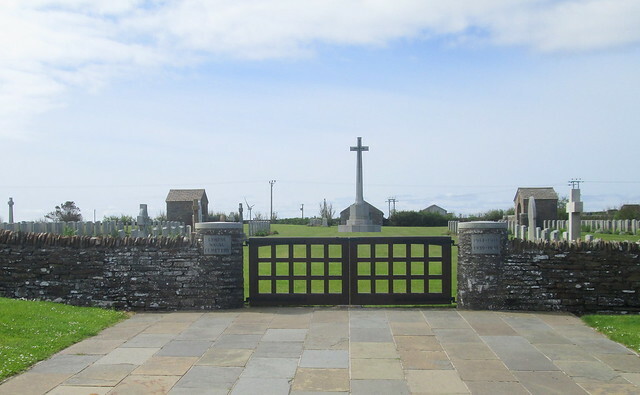 On the night of 8th October, 1939, the German submarine U-47, under the command of Günther Prien, penetrated the defences of Scapa Flow, Orkney, through Holm Sound and Kirk Sound. 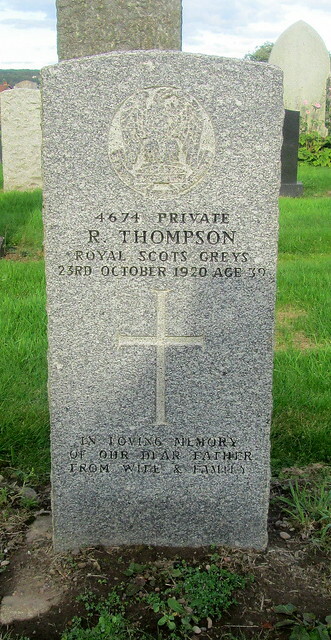 Her first two torpedo salvos missed all but an anchor chain but her third struck HMS Royal Oak. 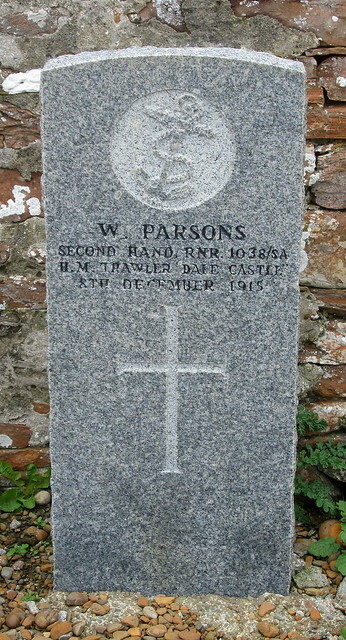 Within fifteen minutes the ship had sunk with the loss of 833 British sailors out of the crew of 1,234 men and boys. 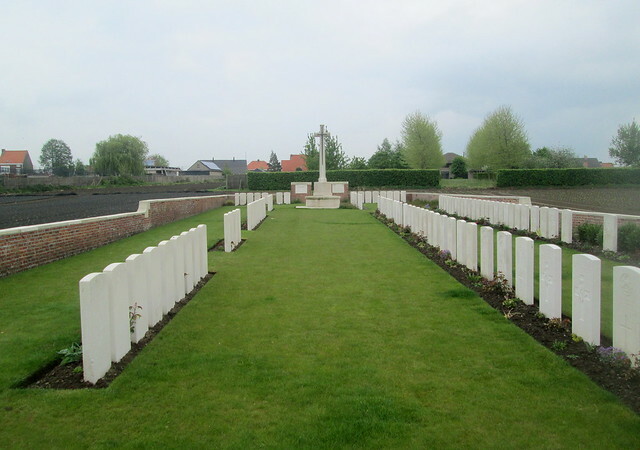 Many of their bodies were unrecoverable and remain on the ship. 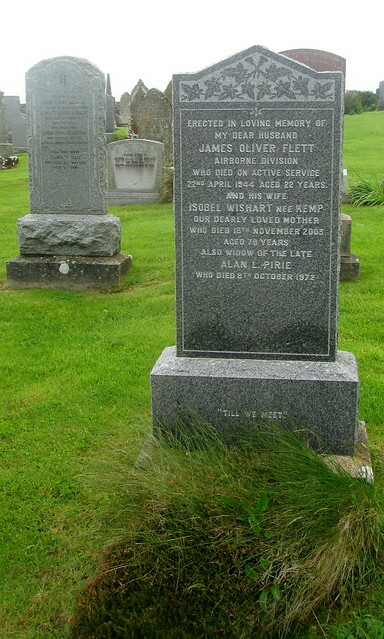 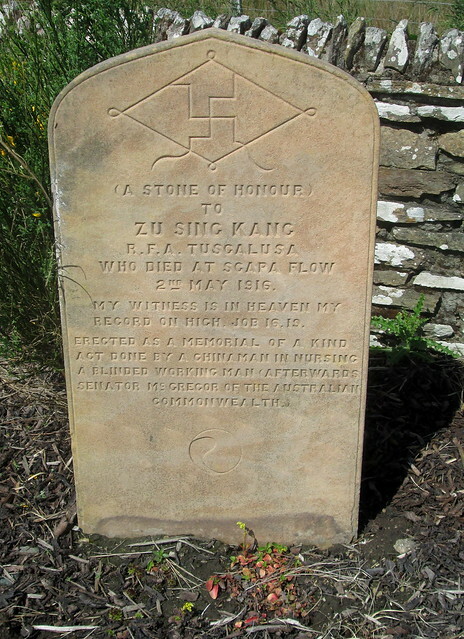 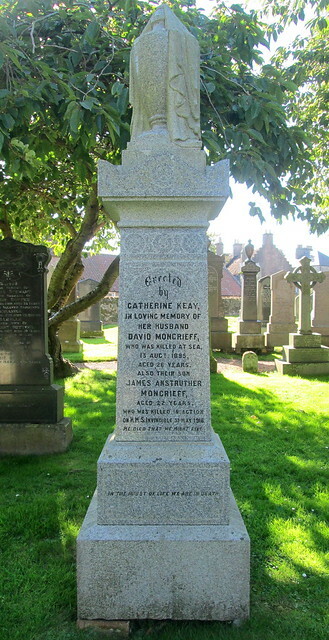 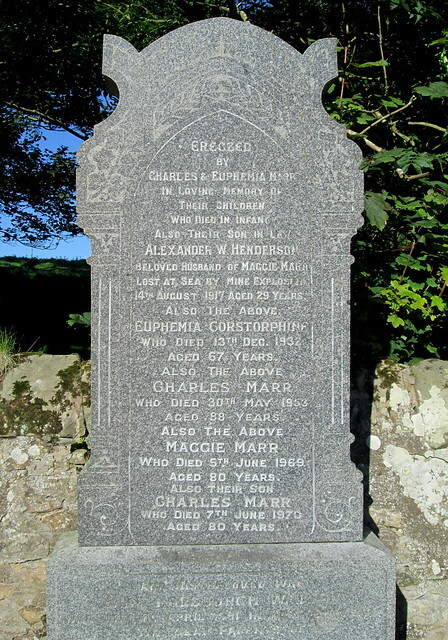 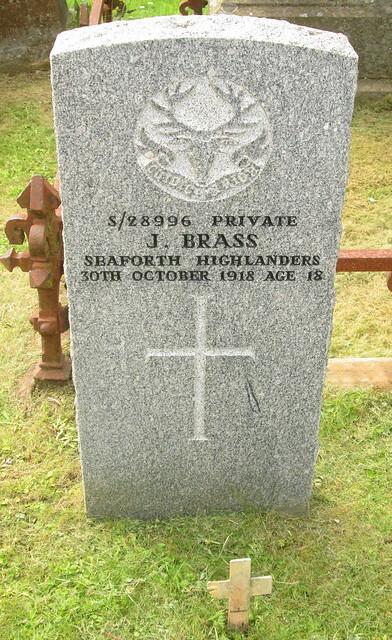 A few are interred at Lyness Naval Cemetery on Hoy. 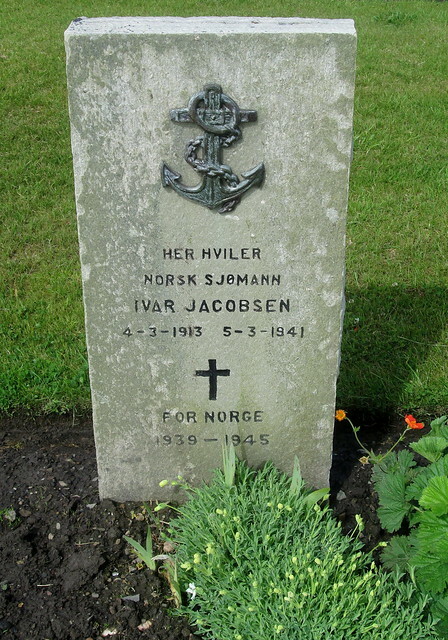 For his feat Prien was awarded the Knight’s Cross of the Iron Cross, the first sailor of a U-boat and the second member of the Kriegsmarine to receive this decoration. 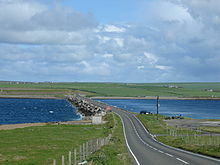 To prevent any further such attacks a series of barriers known as the Churchill barriers was built between four of the southern Orkney islands to connect them to each other and the mainland. 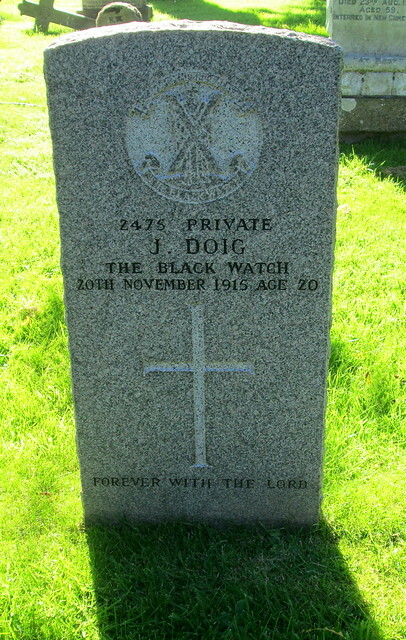 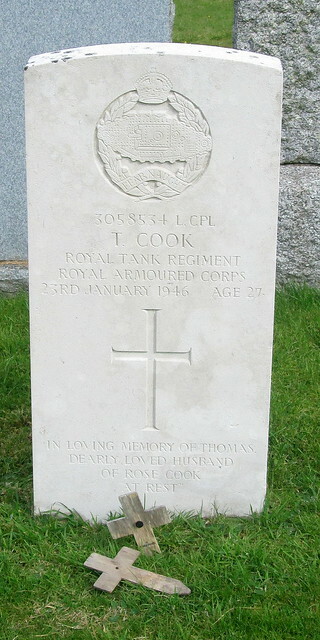 The one shown below (picture from the Royal Oak’s Wikipedia page) crosses what was Kirk Sound. 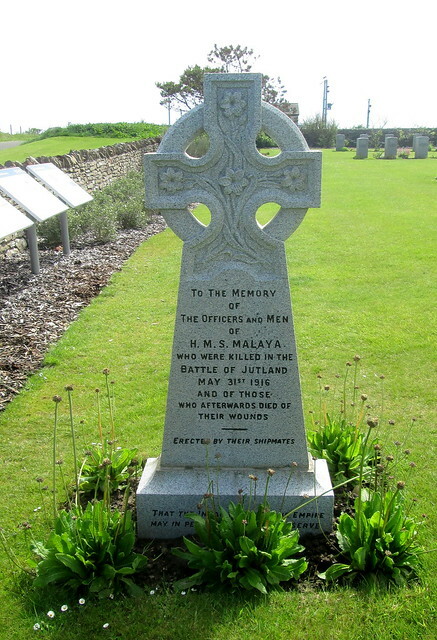 For decades afterwards the Royal Oak, a designated war grave on which diving is therefore prohibited, leaked oil into Scapa Flow before the leak was sealed off. 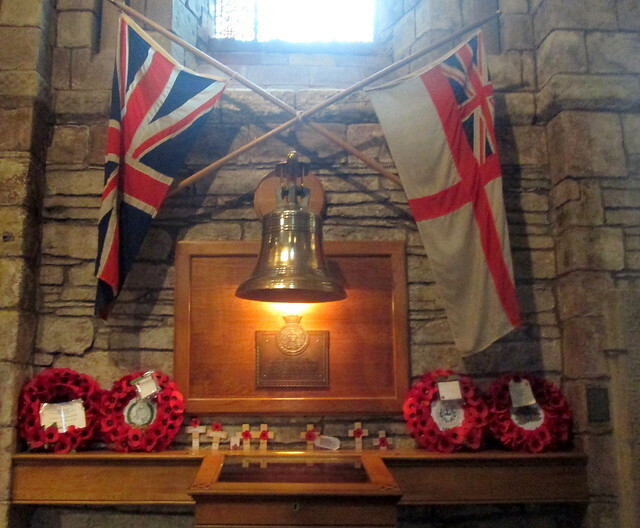 A memorial to HMS Royal Oak is set into the north wall of Kirkwall’s St Magnus Cathedral. 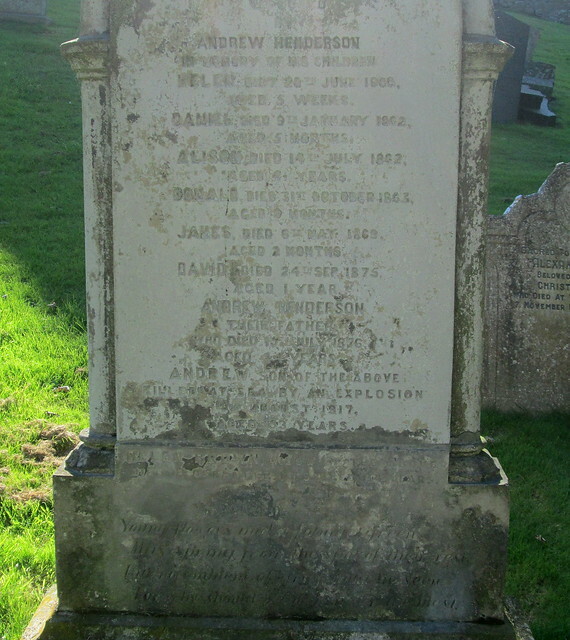 There is a dedication plaque, a book of remembrance listing the names, with a page turned every day, surmounted by the ship’s bell. 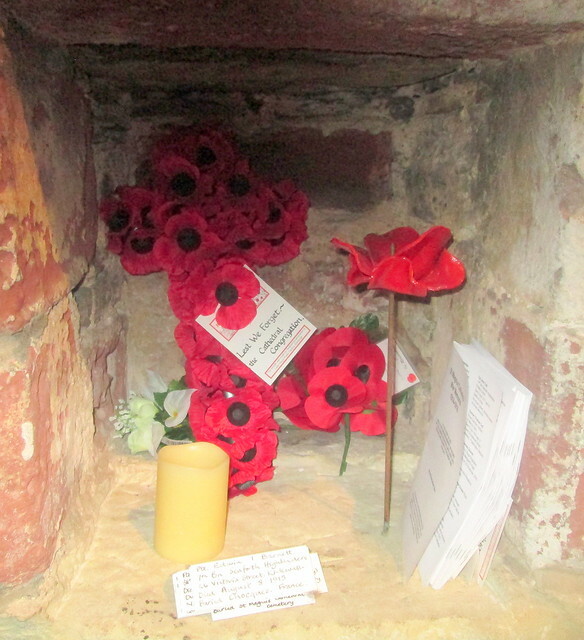 Further along the same wall lies another site of more general remembrance, a niche containing poppies and candles. 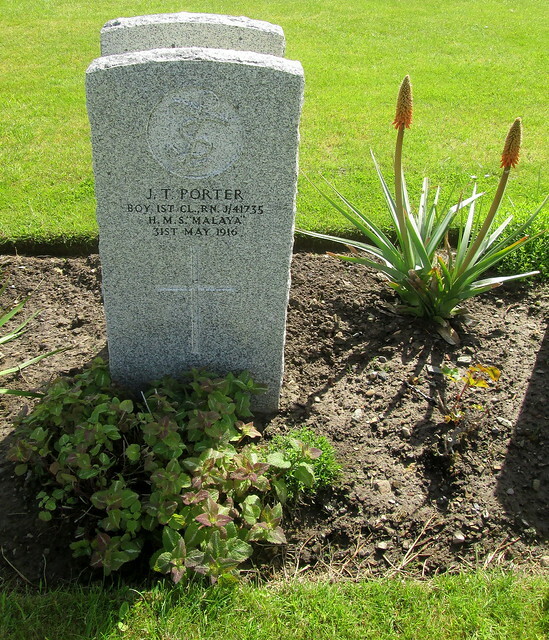 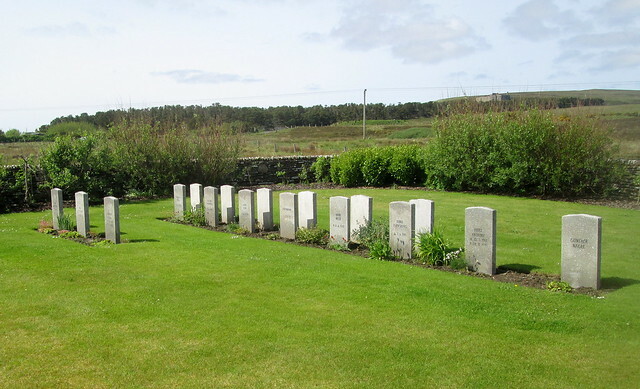 There are civilian burials in the cemetery at Lyness. 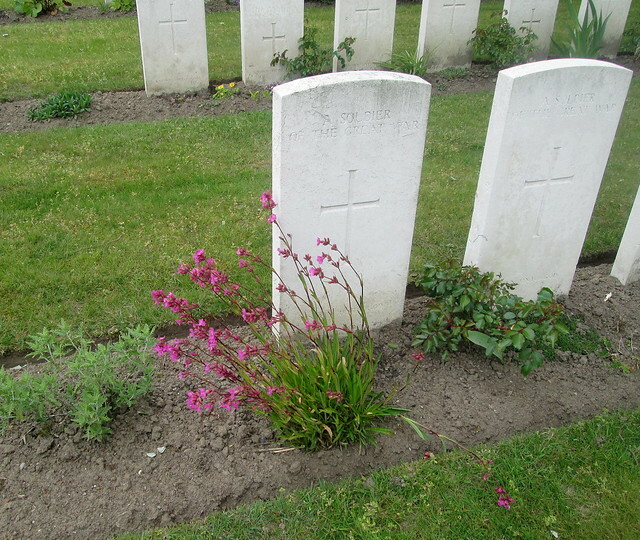 Whether these deaths were due to enemy action or not is not made clear on the gravestones. 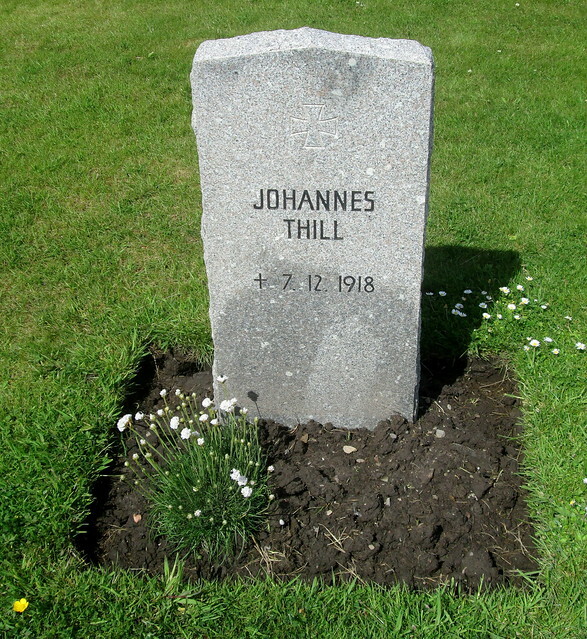 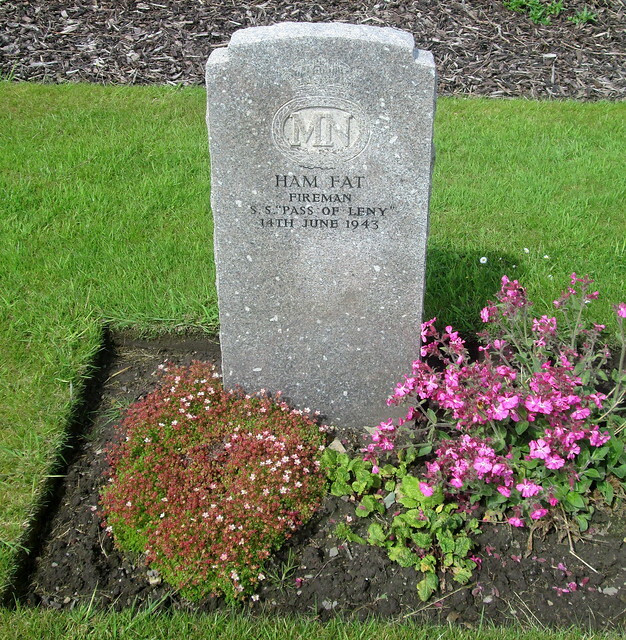 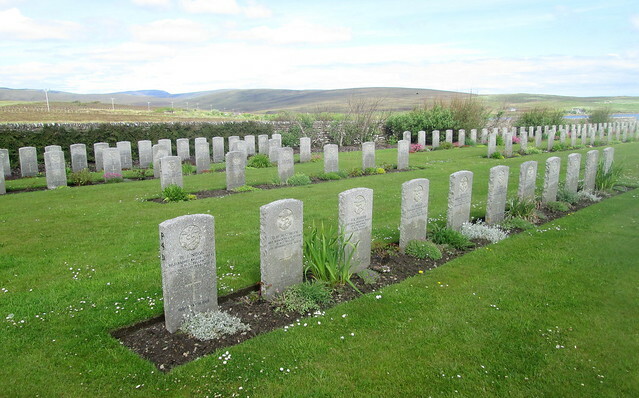 Unusually for a Commonwealth War Graves Cemetery, in Lyness Royal Naval Cemetery, Hoy, Orkney, there are memorials other than the Cross of Sacrifice and the individual graves. 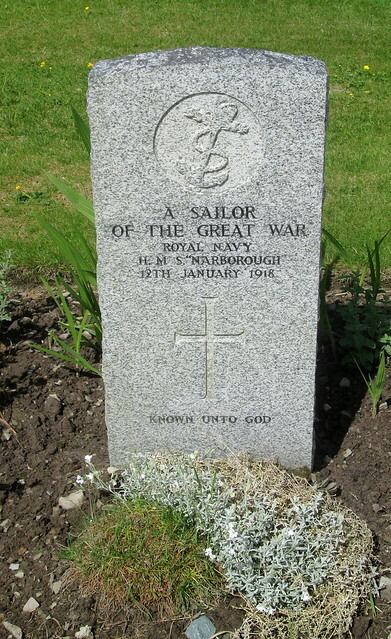 I posted about the HMS Vanguard Memorial on the anniversary of its sinking. 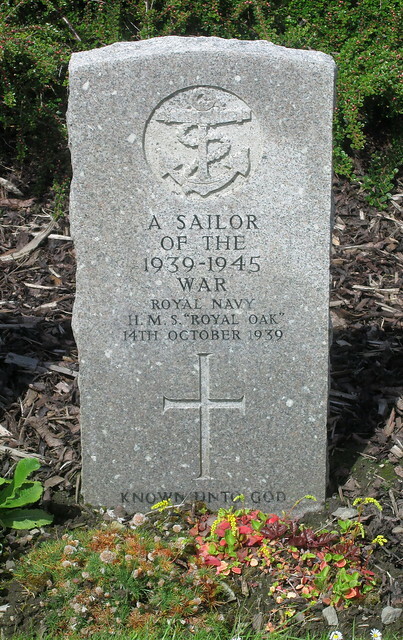 There is also a memorial to HMS Hampshire on which Lord Kitchener and many others died.